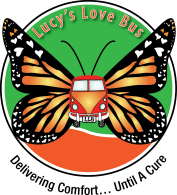 Invite Lucy’s Love Bus to come to your child's school! Lucy’s LoveSquad™ is our free, school-based leadership program that gives young people a real-world opportunity to become activists and philanthropists. Each LoveSquad™ group is paired with a "Butterfly Buddy," and plans together to execute a fundraising campaign in support of a Love Bus child who is coping with cancer. Students grow their compassion and empathy by writing letters of love and encouragement to their Butterfly Buddy, and join our letter writing campaign to government leaders to express their views on the disparity of funding for childhood cancer cures. This engaging experience empowers young people to make a difference and see themselves as change makers. Please contact us at info@lucyslovebus.org for more information! 1. Practice empathy as they engage in direct service to support a child who is coping with cancer by sending letters of encouragement throughout the school year. Caring for others and giving back makes us happier… and it feels great to be a helper! Please contact us at info@lucyslovebus.org to learn more! Make sure to check out KidsCanGiveToo for more information on ways to get your child in the philanthropic spirit today! Check out some articles about our LoveSquad™ Program!